Note: This article was written in August 2014 and featured on BBC Travel in November, 2014, and was one of the most popular stories on the site for weeks after it was published. Thanks to all who read it and wrote to me; I am honoured to have inspired you. Hope it continues to inspire here on Breathedreamgo! 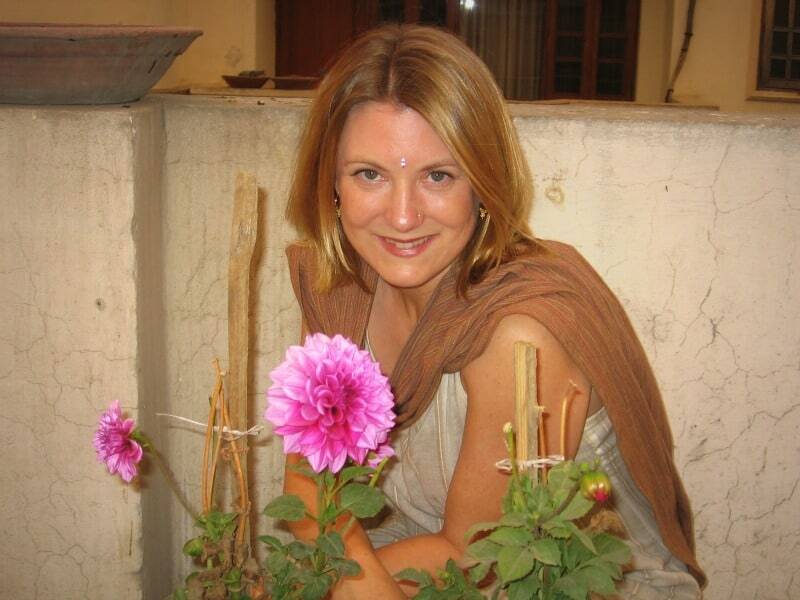 In 2004, when I was at one of the lowest points of my life, I decided to go to India. 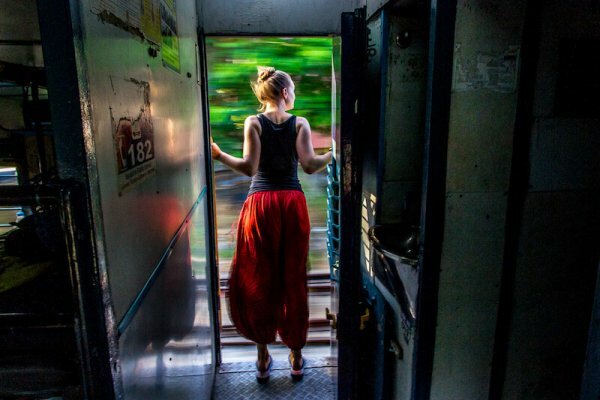 I’d never visited India; I’d never even been on a long-term trip. I was emotionally fragile, and at 45, I was at an age when more rational people would be thinking mostly about settling down and playing it safe. But I knew I had to go. I was trying to recover from a deeply entrenched depression brought on by a series of devastating losses, including both my parents, and the only thing that had helped was yoga. Three classes a week eventually turned into teacher training, which lead to a desire – a compulsion almost – to visit the country where yoga was born. It felt like my life depended on it. So on 5 December 2005, I boarded a plane bound for Delhi – leaving my life in Toronto and my job as a freelance financial writer behind. My return ticket was scheduled for six months later. It took 11 months from the aha! moment to lift-off. I sold about one-third of my belongings, moved out of my apartment and into a small sublet, temporarily gave my cat to a friend and saved as much money as I could. Rather than continue my freelance work from abroad, I finished all my contracts before departure; for once in my life, I wanted to be free to just be, without the responsibilities of a job or assignments. Meanwhile, I lined up a one-month yoga course and a two-month volunteering stint to work with Tibetan refugee children in Dharamsala. By the time I left Toronto, I was as ready as I would ever be. Which is to say, mentally, not at all. As we descended into Indira Gandhi International Airport, I had no idea what awaited me, no idea what India would look like, no idea how I would be able to handle six months of travel in such a different and challenging place. But then I landed – and the adventure began. I was met at the airport by an old acquaintance who invited me to stay in his family’s home in South Delhi. They welcomed me and helped acclimatise me to India. I felt very lucky to have such a soft landing. From that auspicious start, my trip unfolded with one journey after another. When it got chilly in Delhi, I flew down to Kerala and spent a few blissful weeks at a seaside Ayurvedic resort. 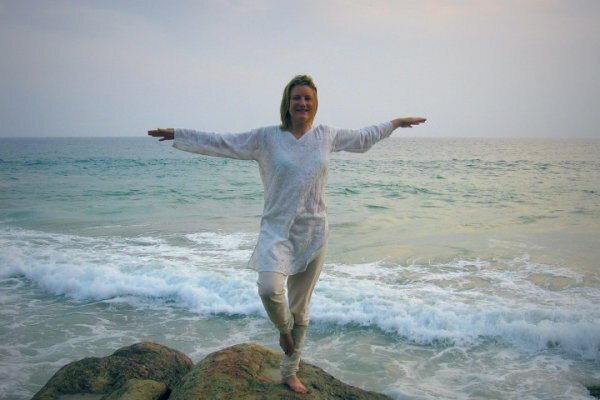 I went to Chennai for an intensive one-month yoga course at one of the best schools in India. I travelled to the Taj Mahal and to Rajasthan, where I stayed in a former Maharajah’s summer palace. 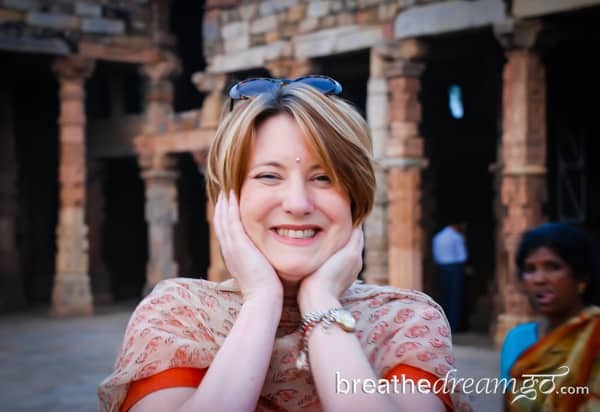 Today, based back in Toronto, I run Breathedreamgo, which has since grown to become one of the leading travel blogs about India. I make my living as a travel writer, content marketing and social media consultant. The greatest lesson I took from this experience is that sometimes, there is nothing better than to listen to your inner voice, the one that keeps you awake at night, disturbs your plans and makes you uncomfortable. When you step off the beaten path to “follow your bliss,” as mythologist Joseph Campbell said, you are on a completely unique journey. There is no universally applicable advice from there, because when you truly listen to yourself, you will be creating your own path. Doors will open for you that would not open for anyone else. As I write this, I am getting ready to leave for my seventh trip to India. I’ll again be crisscrossing the subcontinent in search of adventure, stories and the feeling I love best – that I am truly experiencing my life and doing what I was meant to do. Thanks again to BBC Travel for commissioning, editing and publishing this article, and giving me permission to reprint it here. BBC Travel is one of my favourite travel sites on the Internet. The editors are committed to publishing the best travel stories — stories that transport and transform you, and inspire you to follow your own travel dreams.